Gretsch is putting some refreshment in this year's winter NAMM 2019. We got to take a look at 3 new models that were shown in their booth. 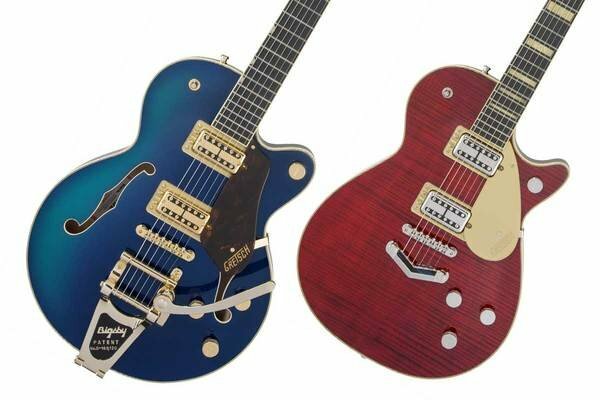 Gretsch is kicking off NAMM 2019 with some slick new models! The Electromatic, Players Edition series and Streamliners were shining in Gretsch's booth. 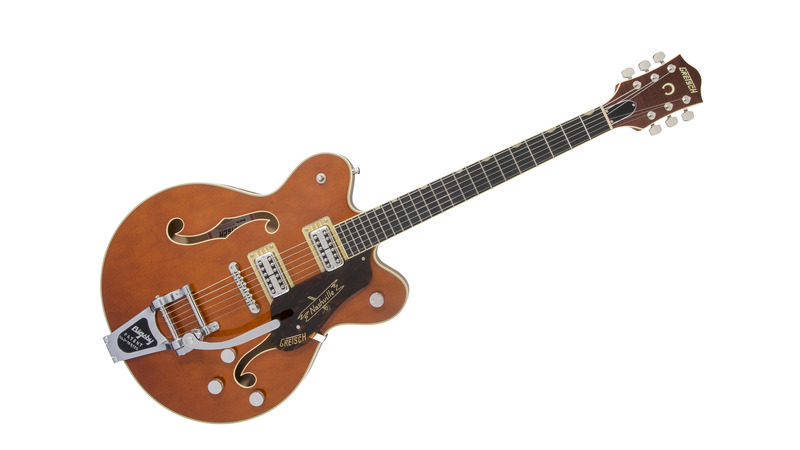 The Electromatic has been seen before in Gretsch's line-up as the limited edition G5655TG Center Block Jr. Single-Cut, but she will now be showing up for a consistent selling offer. The semi-hollow single-cut electric guitar will be showing in the beautifull Azure Metallic, Cadillac Green and Orange Stain finishes. 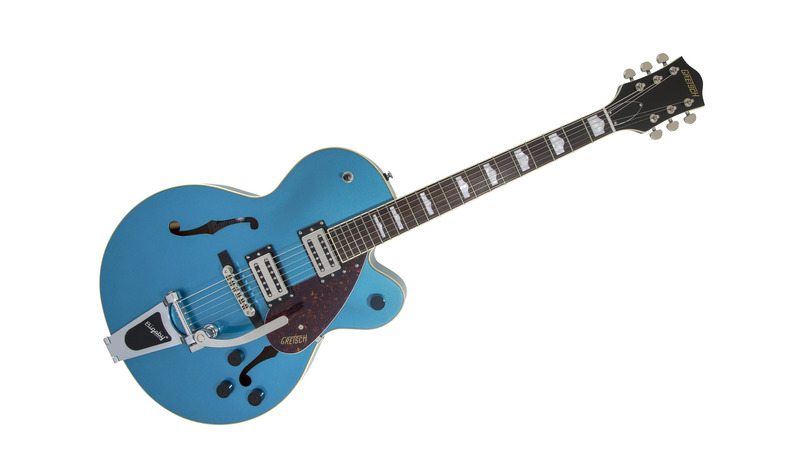 The Players Edition is a new and refreshing look at some of the existing Gretsch models. You can think of a smaller-bodied G6636T Black Falcon or some of the Jets. They look absolutely stunning! And last but not least, the Streamliner Hollow Body. Gretsch brings a nice swirl to the series with a new set of Broad'Tron BT-2S humbucking pickup, exclusively created for the Streamliner. These new pickups bring a tighter bass tone, with a sturdier mid-range.